The Disney movie Peter Pan features an iconic villain with a hook for a hand. Living in Neverland, Captain Hook’s primary goal is to destroy Peter Pan and the lost boys by any means necessary, even if it mean kidnapping children and threatening to kill them. Nothing is too devious for old Hook. Captain Hook shows no fear when it comes to sword fights, Indians and little fairies. All of these are just occupants in a land Hook wishes to call his own. However, I wouldn’t call him fearless. He is afraid of a little green crocodile that wants to eat him. Thanks to Peter Pan, this crocodile got a taste of hook by eating his hand, and now this crocodile wishes to eat the rest of Hook. 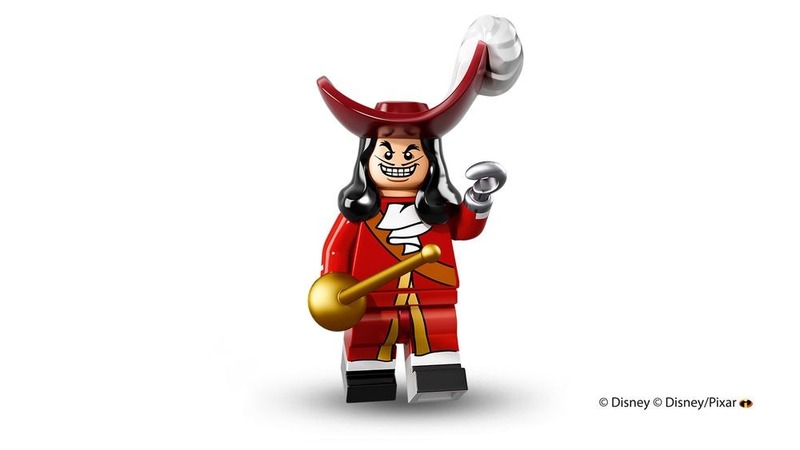 To commemorate Captain Hookn, Lego created an awesome minifigure depicting him with his iconic hat and hook, and uniform. In honor of the Captain Hook becoming a LEGO Minifigure, I have created a Lego Minifigure Captain Hook coloring page! Simply download, print, and color for Lots of Lego Fun! Best part is this coloring page is free! However, if you like it and download it, please consider donating.